The anchor winch sits on the foredeck. It is built from two pieces of 1/4" board, two axel pegs, and a wooden barrel. The barrel and axel pegs were purchased from a hardware store. The barrel orginally had two bands around the middle that I removed with a chisel and smoothed with sandpaper. The axel pegs are 1/4" in diameter and about an inch long. Drill holes in the end of the barrel for the pegs. 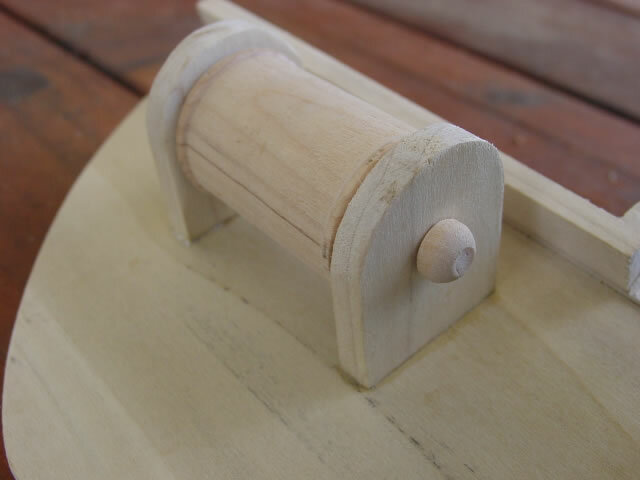 For the supports, drill the same size hole but enlarge it slightly with sandpaper so the barrel will turn easily. 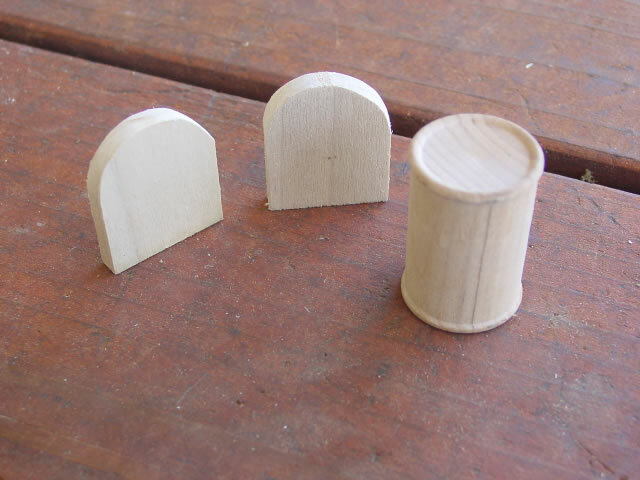 When gluing the pegs into the barrel, use just a drop in the hole to make certain no glue gets onto the supports.